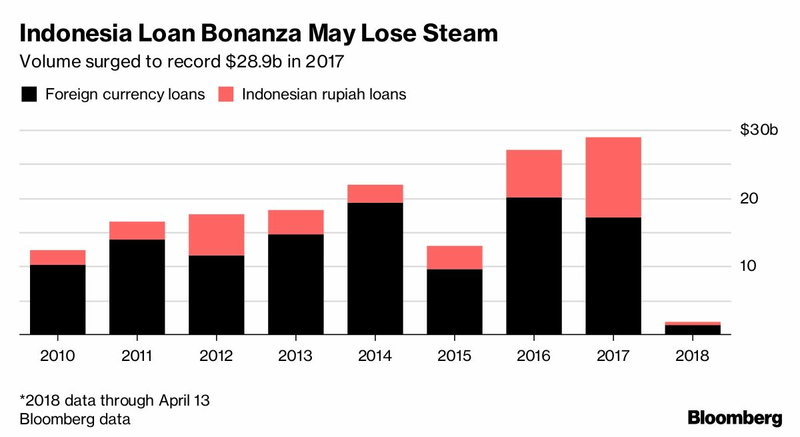 (Bloomberg) — The lending boom of 2017 that saw Indonesian companies borrow the most ever in the syndicated loan market is set to fade. While the market remains healthy for now, attention will shift to local polls in the coming months and a presidential race in 2019 that may keep borrowers on the sidelines, according to Maybank Investment Bank Bhd. Issuers have signed $1.89 billion of loans so far this year, while about $2.8 billion of deals are in the pipeline. A decision by S&P Global Ratings to lift Indonesia out of junk status in 2017 amid an economic recovery helped spur a record $28.9 billion of loans, marking a banner year for syndicated lending. The country on Friday won a sovereign rating upgrade from Moody’s Investors Service. The nation’s main opposition party on Wednesday nominated former general Prabowo Subianto to challenge incumbent Joko Widodo in the presidential election, setting up a rerun of the 2014 race. “After the sovereign upgrade last year, there is momentum in the Indonesian loan market right now and that is likely to continue for next few months,” before slowing later, said Teoh. The former general accepted his party’s offer. Nominations for the presidential race have to be finalized by August this year ahead of voting scheduled for April 2019. 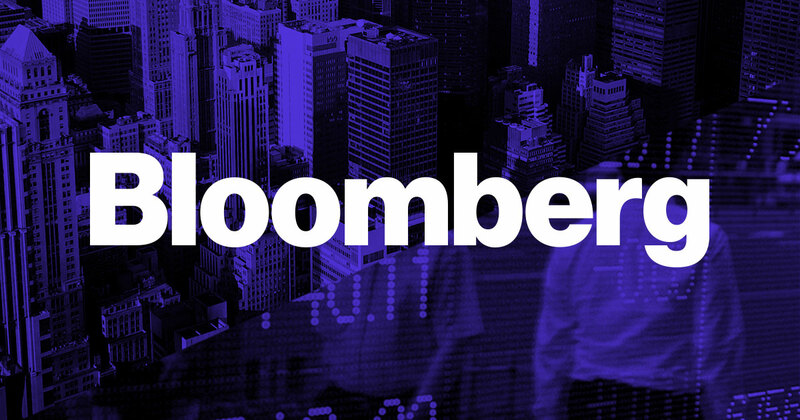 “Indonesia’s market has been active with most of the borrowers being non-bank finance companies that need to borrow on a reasonably regular basis,” said John Corrin, global head of loan syndications at Australia and New Zealand Banking Group in Hong Kong. At the moment, foreign currency loans are attractive for borrowers, he said. Indonesia Eximbank cut margins on its $950 million loan currently in market by up to 50 basis points from its 2016 deal. MPM Finance, a unit of PT Mitra Pinasthika Mustika, is offering 150 basis points margin on $200 million loan with average life of 2.125 years, compared with 185 basis points spread on a similar facility in 2017. PT Mandiri Tunas Finance is offering 90 basis points margin on its $100 million loan, lower than 113 basis points in last year’s borrowing.